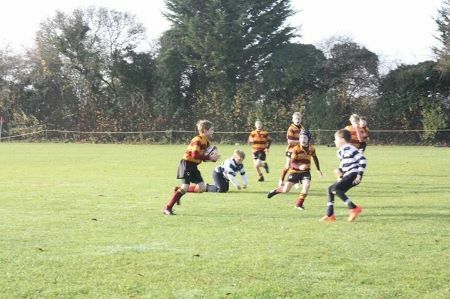 Another great season for the U10 rugby teams with some impressive wins especially at the lower levels. The commitment to the tackle has always been a strong point of Cranmore Rugby and it is easy to see the effect of having ex internationals on the staff. The pupils have also worked on quick line speed, and this was shown to be very effective in games against Donhead and Downsend which were two teams that had beaten us early in the season. As a whole there is still a lot of work needed to be done on passing and moving the ball wide, but with the ability to steal the ball and cut down attacks, the pupils are in a good position for next year.